KinderSmile Foundation is a nonprofit 501(c)(3) corporation that provides free dental care and free oral health education to uninsured/underserved children and perinatal women in New Jersey and abroad. Our goal is to help eradicate tooth decay, the #1 silent epidemic that afflicts economically disadvantaged children in our communities. 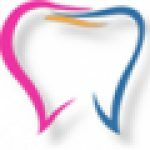 The mission of KinderSmile Foundation is to provide underserved children with access to comprehensive dental care and educate children & their families about the importance of dental hygiene. We envision a future where every child has access to a dentist and preventable dental diseases are eradicated.